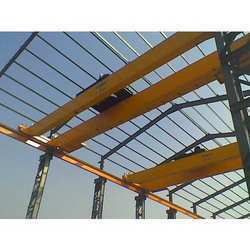 We take immense pleasure in introducing our company as one of the recognized manufacturers and exporters of Double Girder EOT Crane. 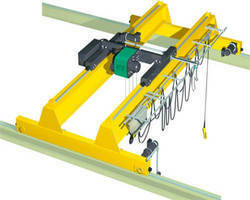 Available in different capacities, these electrically operated cranes are loaded with all the advanced features. 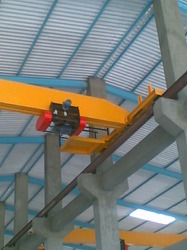 These EOT cranes are ideal for use in ports, ship yards, cement and engineering industries. 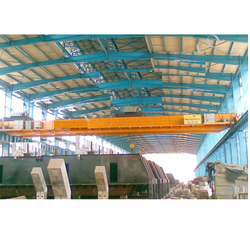 Being low in power consumption, safe and secure, our entire stock of Double Girder EOT Crane is strictly tested on various quality norms. In addition to these, all these EOT cranes are offered to our cranes at competitive prices. 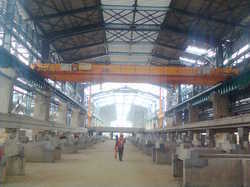 Looking for Overhead Crane ?